I want to use essential oils with my pets. Are they safe to use with animals? Unfortunately, we have no specific protocol regarding the use of essential oils with animals. Many people have found success using essential oils with large animals such as horses or dogs, but have found that smaller animals, such as cats, typically do not respond as well. We recommend visiting one of the quality websites managed by independent essential oil users groups for more information. It would also be prudent to consult with a veterinarian before using essential oils with your pets. What if I have an adverse reaction to a product? dōTERRA wants you to be 100% satisfied with your dōTERRA products. If you believe your reaction was caused by a doTERRA product, we recommend discontinuing use and consulting a health care professional. If you feel a return is necessary, please contact our product support team for assistance. You can contact them at productsupport@doterra.com. Is it possible to use too much essential oil? Essential oils are very safe if used appropriately. They are very potent so it is important to remember that more is not always better. Generally it is best to use small doses more frequently instead of large doses all at once. Is it safe for children to take doTERRA supplements? We recommend that children begin by eating a diet rich in fruits, vegetables, whole grains, and low-fat dairy products, while also reducing the amount of sugar and processes foods they consume. We do have 2 supplements designed specifically for children, the IQmega and a2z chewable. An eight year old adolescent can safely take a half dose or less of the Lifelong Vitality products. If they are unable to swallow capsules, you can open the capsule and add the contents to food. However, both the the Alpha CRS+ and xEO Mega have very potent flavors that may be difficult to mask. Whenever you give a supplement to a young person, it is important to remember to start with the lowest dose per delivery system of the product (one capsule) and make sure they take it with food. How many drops of essential oils can be safely used per day? It is important to remember that our oils are very potent and that each individual will react differently to them. For this reason we do not have a specific recommendation on dosing other than what is indicated on the bottle. We suggest starting with one drop and slowly increase the amount until the desired therapeutic effect has been achieved. Smaller doses administered throughout the day have been proven to be more effective than a single large dose. Are all doTERRA essential oils safe for internal use? Most essential oils are approved for internal use. Some are just not beneficial that way. See this article on why most therapeutic grade essential oils are safe. Can essential oils be used in a plastic water bottle? I have heard some have the ability to break down plastics. Citrus oils have compounds in them that dissolve some plastics. Citrus oils are perfectly safe for use, but interact chemically with plastics in a way that breaks them down. Other essential oils can also interact with plastics but do so on a much smaller scale. It is recommended to use glass or steel drinking containers with oils, but some plastic water bottles may be ok if not reused and only a small amount of oil is added. If you are not sure if the plastic is safe, you could add a drop of the oil to the outside and make sure there was no change to the plastic after a few minutes. Plastics designed specifically for use with essential oils (caps, diffusers, orifices, etc.) are made of a very high quality plastic that have stronger bonds and longer chain lengths that are not broken up by essential oils called HDPE. HDPE plastics will not be affected by essential oils. Where is the best place to apply essential oils topically? There are many places on the body where an essential oil can be applied topically including the bottom of the feet, neck, wrist, abdomen, etc. Applying heat or massaging the oil in will increase blood flow and absorption. 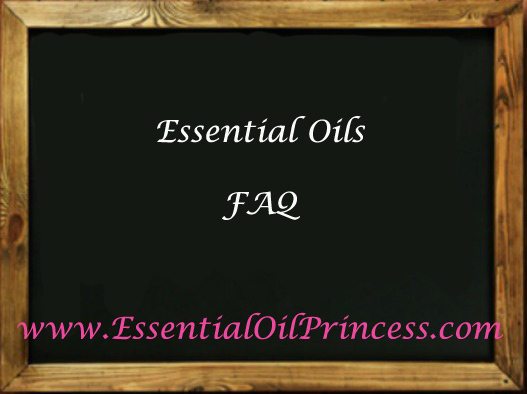 Can I use essential oils even if I have silicone breast implants? Essential oils, even citrus oils, can safely be used topically on areas that cover silicon implants. The silicon in implants is surrounded by a bag made out of material that would not be affected by essential oils. When you apply an essential oil topically it only penetrates a few layers of tissue and is absorbed into the venous and lymph systems so the oils are not going to penetrate the dermal and muscle tissues that cover implants. Additionally, there will be no affect if essential oils are taken internally.